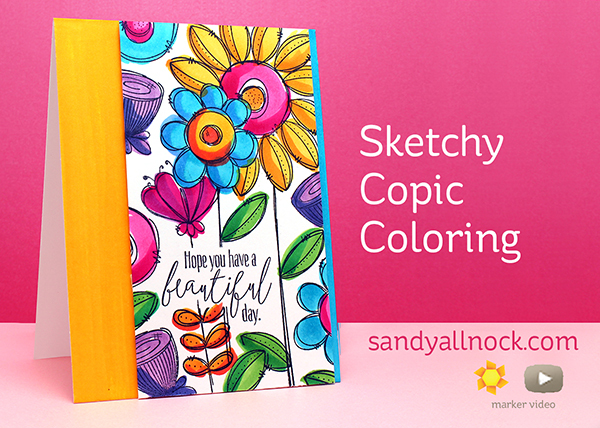 Sketchy Copic Coloring – Guest Post! Really lovely results without all the repetitious blending. Thank you! Love this stamp set and the colors you chose for the card. Hope your day is blooms as wonderfully as the card does! What a great video, Sandy! Thank you so much for the wonderful Sketch Map. I have been using the Doodle Buds set with watercolors. Now I’m inspired to try following your Sketch Maps with Clean Color markers for bright, loose blossoms! Warm hugs! Awesome video and LOVE your card, spectacular colors….love them.